It’s time for Christmas cookies! 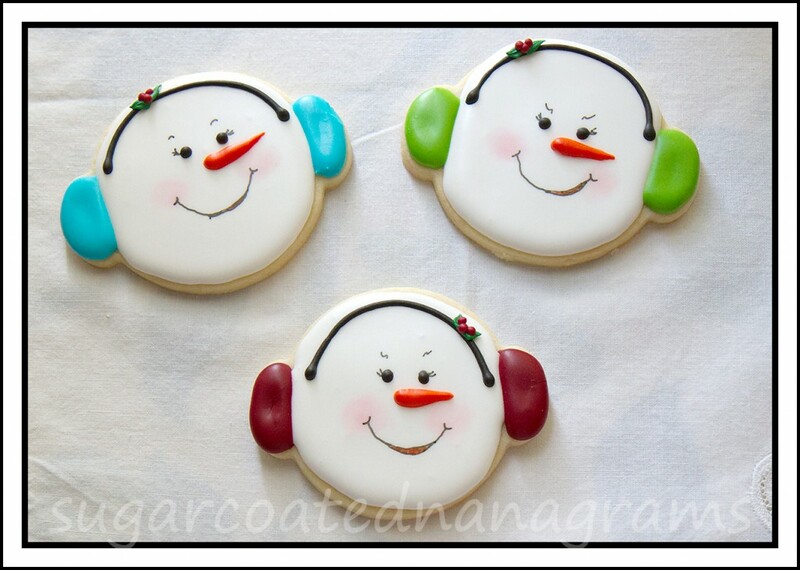 Are you all busy making Christmas cookies? I have been having fun with a few new designs, this year. 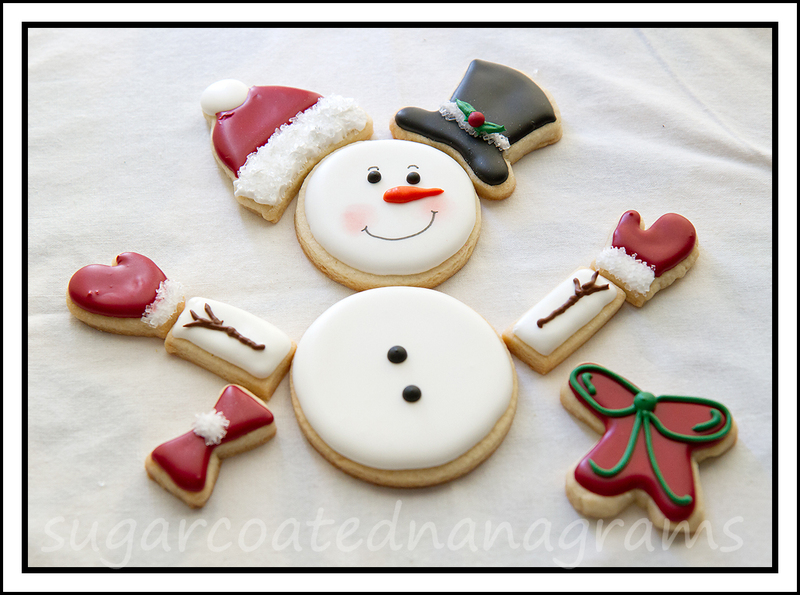 The build a snowman cookie, above, was a lot of fun to make. I got the template from Domino Sugar‘s website. I used circle cookie cutters to cut out his body but the rest of the pieces were hand cut. I printed the free template on card stock to make it easier to cut around the pieces on the cookie dough. Here are a few other cookies I am making this year. I have been trying to master different royal icing consistencies. I would be lying if I said it is easy or intuitive. Sometimes I get it right the first time but not always. It is getting easier though. 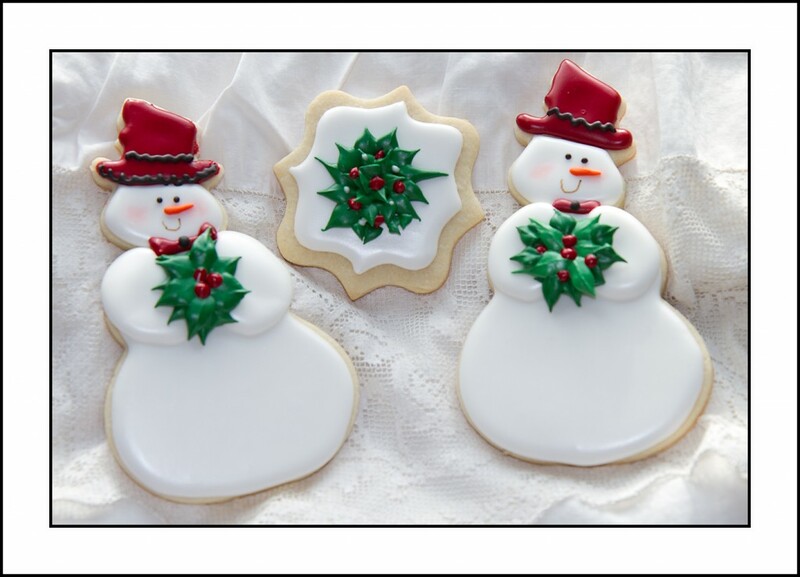 I joined a couple of cookie groups, on Facebook, to get tips and tricks to make the process easier. In one of those groups I “met” a woman who is an incredibly talented cookie artist. Her name is Teri Butler Wood and she makes the most amazing cookies I have ever seen. If you get a chance, check out her Facebook page. I have linked it, above. Teri has been very helpful and has answered any question I have. The one piece of advice she gave me was to practice, practice, practice, so that’s what I have been doing. You know what….she is right. 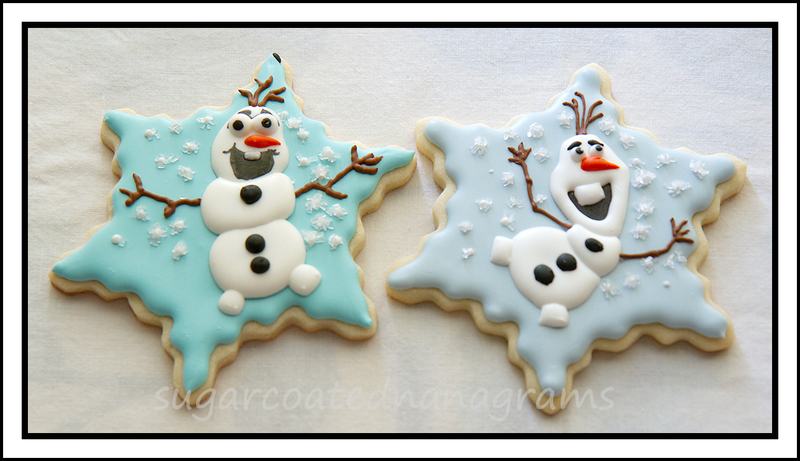 This picture shows my 1st Olaf cookie I attempted and my 3rd try. What a difference a few days made. I am pretty happy with the progress I am making. It will be fun to look back, in 6 months or a year, to see how much progress I have made. The Olaf on the left is evidence of my lack of drawing skills. To get around that I traced a photo that I found and printed, onto the cookie. That made it so much less stressful. Then I frosted it in sections. First, I used a small paint brush to paint black icing in the area of his mouth. Once it was dry I flooded and filled his head and the larger part of his body. I have started using a small table top fan or heater to speed up the crusting of the frosting. Now I don’t have to wait hours to be able to move from section to section of any cookie. The other advantage of using a fan or heater (they both work great) is that they seem to dry shinier. I waited about 20 minutes for the first two body parts to crust and then flooded and filled the upper snowball, his feet and his nose. I waited another 20 minutes then added the eyes, hair and arms. To do the eyes I piped a dot of white and immediately added a tiny drop of black for the pupil. My brown icing wasn’t stiff enough making it difficult to get definition on his arms and hands. I waited another 20 minutes then piped small dots of white icing and sprinkled sanding sugar to make it look like snow. Using the fan, I was able to complete the cookies in a few hours rather than a few days. 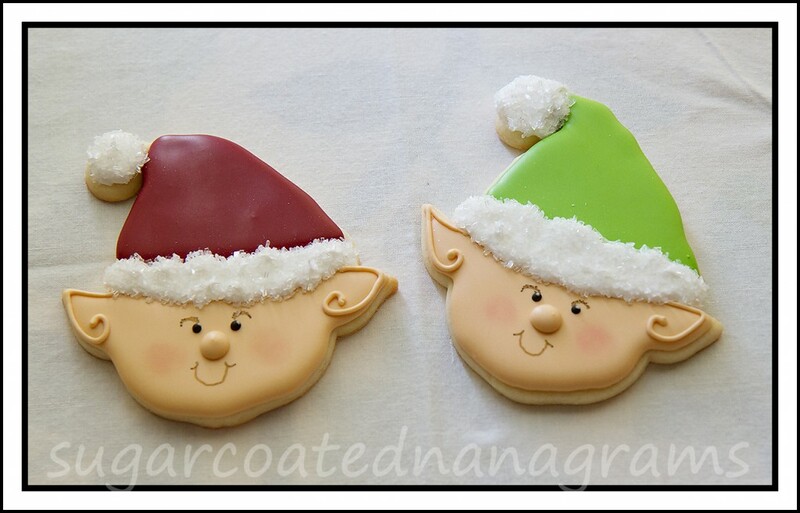 Please share your favorite Christmas cookies with me, either here on the blog or on my Facebook page. Have a fabulous holiday season!